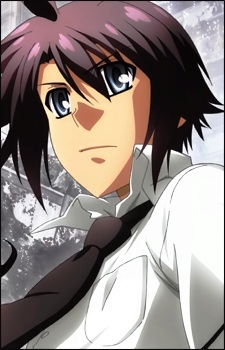 Tomo is the lead male character. He is sent to live on his own so he will not be in the way of his mother and new boyfriend. Accompanying him is Misao, a girl spirit. He was in a terrible incident as a young boy. He opens a silver case called the Extractor given to him by Shuri and releases the Asura Machina, becoming a holder.As the series goes, he understand all the things happening to him. (Source: Wikipedia) He has a brother called Naotaka.